The Australian PGA Championship will reach more than 500 million viewers globally and be the richest tournament in Australia in 2015 thanks to a new co-sanctioning agreement announced today with the European Tour. The Championship, the oldest and most prestigious professional tournament on the PGA Tour of Australasia, will be played at the RACV Royal Pines Resort from the 3 – 6 December 2015 and is expected to attract a number of the world’s best players with the prize fund increasing to AU$1.75M. PGA of Australia Chief Executive Brian Thorburn said sanctioning with the European Tour would provide a greater reach with a new broadcast agreement through Europe, Asia and the US. “This is a huge step forward for the tournament to rank alongside many of the great tournaments in Europe and Asia. The partnership will also provide the opportunity to improve the strength of the field through the greater depth of international players currently playing on the European Tour,” he said. In addition to the 1st place cheque of A$315,000 from RACV Royal Pines, the winner of the 2015 Australian PGA Championship will be granted exemption into the 2016 WGC-Bridgestone Invitational and the 2016 BMW PGA Championship at The Wentworth Club in the UK, and compete for the A$19.5M in prize money at those events. “As the last tournament of 2015 the Australian PGA Championship caps off what will again be another exciting year of Australian golf,” Thorburn said. The Championship will also provide visitors the chance to view Graham Marsh’s $10million completed upgrade to the RACV Royal Pines Resort layout. “RACV has invested a significant amount of money to upgrade their championship course and it is looking exceptional. The newly designed 16th and 18th holes will provide fantastic viewing for fans attending the tournament while the 10th tee, which is now positioned near the tournament ‘village’, will enhance the fan engagement experience even further,” added Thorburn. Minister for Tourism and Major Events, Kate Jones, said she welcomed the new agreement that would provide a significant boost to the event’s international profile. “The Australian PGA Championships is a highlight on Queensland’s events calendar, attracting a crowd of around 40,000 each year,” Ms Jones said. The European Tour will receive 60 positions into the tournament. In an arrangement with (South African) Sunshine Tour, 30 of those positions will be granted to their membership. The PGA Tour of Australasia will receive a minimum of 71 direct positions into the tournament. In addition, there will be 8 tournament invitations, 6 qualifying positions and 3 positions for PGA Vocational Members. 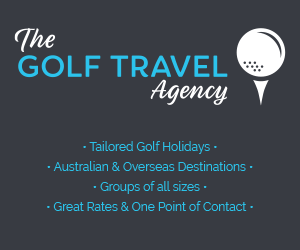 PGA of Australia is working on broader and enhanced playing opportunities at a number of different tournaments for its entire Australian membership in the medium to short term. The tournament is proudly supported by Tourism and Events Queensland, RACV, City of Gold Coast, Gold Coast Tourism, Emirates and Coca-Cola Amatil. It will be broadcast live on Ch7 from 3 – 6 December, 2015. 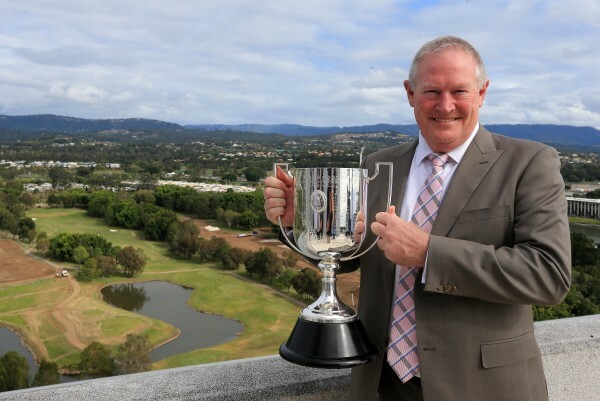 The official Australian PGA Championship event launch will be held on 12th August.